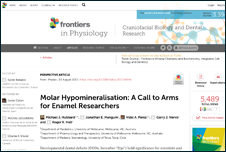 Two articles outlining D3G, the Chalky Teeth Campaign, and "the Molar Hypomineralisation problem" have appeared in highly regarded academic journals recently. 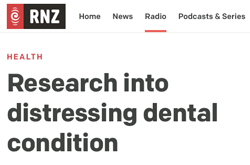 Importantly, these articles have broken new ground by introducing D3G's "translational terminology" ("D3s", "chalky teeth", "chalky molars" etc) to the academic literature following successful road-testing on the public and practitioners. This advance provides a rare example of "reverse translation" – most talk today is about the other direction (converting academic advances to public good), but clearly both directions matter. 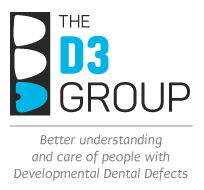 Colgate America kindly hosted a free webinar in support of D3G's Chalky Teeth Campaign. This uniquely "D3 flavoured" continuing education lecture was held in November 2018 attracting a record live attendance. It can now be viewed on demand here with free registration (1 hour). 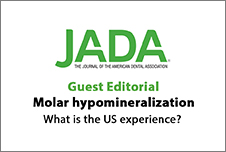 Mike Hubbard talks about "the Molar Hypomin Problem" and the Chalky Teeth Campaign. Listen here (23 minutes). Mike Hubbard talks about "chalky teeth", Molar Hypomin and the Chalky Teeth Campaign. Listen here (12 minutes). 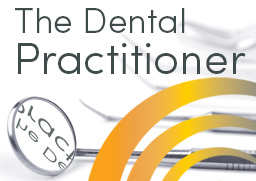 The D3 Group and Mike Hubbard are featured in an article about "5 visionary Australians transforming dentistry". Read here. 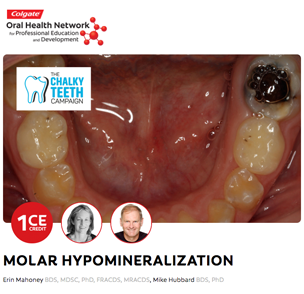 Dorothy Boyd and Mike Hubbard talk about "chalky teeth", Molar Hypomin and the Chalky Teeth Campaign. Listen here (10 minutes). 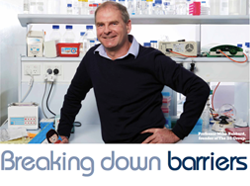 D3G founder, Mike Hubbard, relays his vision and experiences in establishing D3G as a world-first translational research and education network centred on understanding and care of people with D3s. Read here.